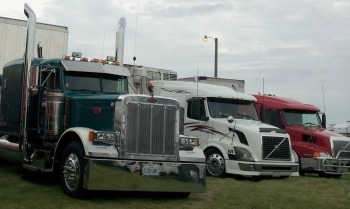 The trucking industry received big news last week regarding the medical card requirement. What was overlooked in this news, however, is the fact that motor carriers also received a yearlong extension on proving that drivers had verified their tier status and placing this information in driver qualification files. Before the extension, carriers had until Jan. 30, 2014, to prove that their drivers had verified their tier status with their state. It was then up to carriers to add this proof of verification to driver qualification files. The FMCSA pushed back the deadline for this requirement until Jan. 30, 2015. This requirement is a big deal because running MVRs on drivers all over the country (as some motor carriers will need to do) is not cheap. (A) The type of operation the driver self-certified that he or she will perform in accordance with §§ 383.71(a)(1)(ii) and 383.71(g) of this chapter. (B) Beginning on or after May 21, 2014, that the driver was certified by a medical examiner listed on the National Registry of Certified Medical Examiners as of the date of medical examiner's certificate issuance. (C) Exception. If the driver provided the motor carrier with a copy of the current medical examiner's certificate that was submitted to the State in accordance with § 383.73(a)(5) of this chapter, the motor carrier may use a copy of that medical examiner's certificate as proof of the driver's medical certification for up to 15 days after the date it was issued. (ii) Until January 30, 2014, if a driver operating in non-excepted, interstate commerce has no medical certification status information on the CDLIS MVR obtained from the current State driver licensing agency, the employing motor carrier may accept a medical examiner's certificate issued to that driver, and place a copy of it in the driver qualification file before allowing the driver to operate a CMV in interstate commerce. This verification and documentation requirement was rolled in with the medical card extension. In a nutshell, drivers who are subject to CDL or CLP regulations and to federal physical qualification requirements must retain paper copies of their medical examiner's certificate when operating a commercial motor vehicle until Jan. 30, 2015. It also means that motor carriers must keep a copies of medical certificates in drivers' qualification files until Jan. 30, 2015. This is a yearlong extension from the original deadline of Jan. 30, 2014. The extension went into effect Jan. 14. When the rule was first introduced in 2008, its aim was to combine CDLs and medical certificates. Some states, however, still aren't ready to merge this info. "As the extended date of January 30, 2014 draws nearer, FMCSA has reluctantly concluded that there will still be a few SDLAs (state driver licensing agencies) that will not be able to receive the required medical certification and medical examiner's certificate information provided by a non-excepted, interstate CDL holder, and then post it to the CDLIS (Commercial Driver's License Information System) driver record. Under these circumstances, the Agency cannot be certain that all CDL holders and their employers will be able to demonstrate or verify, respectively, that the driver is medically certified in compliance with the FMCSRs (Federal Motor Carrier Safety Regulations) by reliance on the CDLIS driver records instead of the paper medical examiner's certificate. For this reason, FMCSA has decided to again extend for another year, until January 30, 2015, the date after which sole reliance on such driver records will be required for another year." One deadline hasn't changed, though. FMCSA rules still say that drivers must self-report their operating status and provide medical certification to their states by Jan. 30, 2014. Each state is handling the self-reporting rule differently. Drivers and motor carriers should check with their DMV for insight on compliance. Failure to self-report operating status and medical certification could result in a downgraded CDL. Click here to read the extension as it appears in the Federal Register.